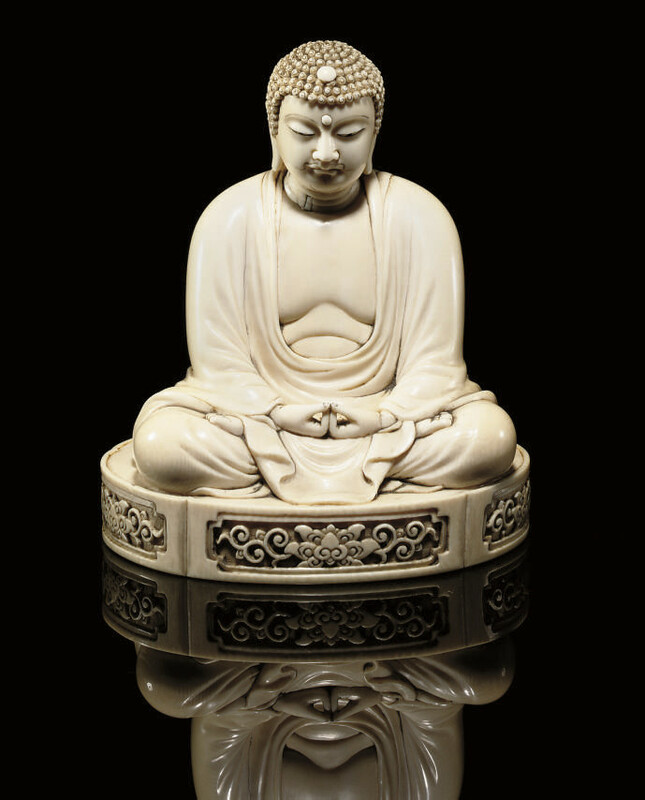 seated on a low pedestal carved with stylised leafy lotus, the Buddha sits in dhyanasana, his flowing robes partially revealing his chest, signed to the base Suzuki and in seal form within a rectangular reserve Nobuyoshi -- 5 5/16in. (13.5cm.) high.